WATCH The Move Your Body & Run the World Video! Click Image! Michelle Obama’s Let’s Move Campaign is rocking with Beyonce’s Move Your Body song anthem! Now you can shake it like Beyonce & work it out like SusieQ FitLife & the City Gym Boys, along with The Boys & Girls Club of Harlem! They just created this vibrant & inspiring music video that will have everyone jumping out of their seats to participate! Watch the all-new Beyonce Move Your Body & Run the World with Michelle Obama music video by the Boys & Girls Club! It’s the Beyonce dance with a major TWIST, featuring SusieQ’s signature Dr. Oz Flab Buster (in-demand) workout from “Watch Your Mouth!”, “Ride the Train” & “The Pump!” dance moves! You can also look forward to doing the, “Single Leg Butterfly”, “Cat Daddy”, plus, the all-new “Dougie Reverse Swag” performed on this video as well! “Who Run The World?” dance will be found in this video mix! It’s worth watching! You can’t get bored when you MOVE with this dynamic group! This Boys & Girls Club of Harlem’s music video will bring a smile to your face, even if you are depressed! 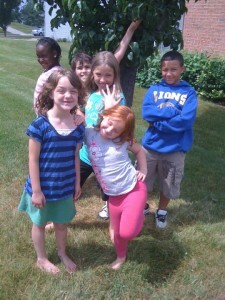 The infectious energy that exudes from these children from ages 5-11 will ignite you! Kudos to these brave kids who learned the SusieQ dance moves, live-on-location during the shoot. It’s so easy that you can follow along and do it too! So, parents, grab your children and Let’s Move! If you missed a dance step, simply watch it again and again! 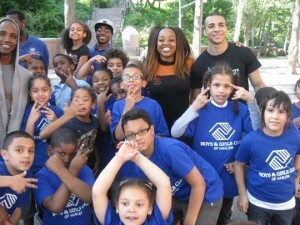 The Boys & Girls Club of Harlem & The City Gym Boys + SusieQ FitLife! 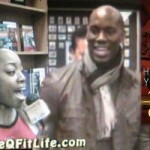 Dr. Oz has worked out with both The City Gym Boys & SusieQ FitLife! To the Dr. Oz approved team with SusieQ’s dance moves & the chiseled City Gym Boys to help keep you in line while keeping your heart rate up in this Music Video Workout! The City Gym Boys joined State Senator Shirley Huntley to help commemorate Earth Day, at the Roy Wilkins Park to raise awareness of First Lady Michelle Obama’s Let’s Move! Initiative this year! While beautifying the park The City Gym Boys lead physical activities on the ground where community organizations, area businesses, city, and state elected officials were honored. SusieQ FitLife has also been on a mission to join forces with Michelle Obama and made an official announcement on Good Morning America Health to speak about the campaign. Over the past 30yrs, childhood obesity rates in America have tripled, and today, nearly one in three children in America are overweight or obese. SusieQ FitLife & The City Gym Boys are driven to inspire communities, families and schools to take action to prevent obesity in children; through efforts to promote exercising and encourage healthy food choices so everyone can “Get a FitLife!”. Be prepared to watch out for more wonderful things to evolve with the City Gym Boys as they release their brand new book entitled “Get a Bangin’ Body”. This is a natural fit with SusieQ FitLife & the City Gym Boys, as the two passionately strive to improve the health and physical wellness of our children and many people abroad! Do agree that SusieQ FitLife & the City Gym Boys would be a great addition to the Let’s Move Campaign? Take our poll below to let us know after you’ve watched the brand new music video! 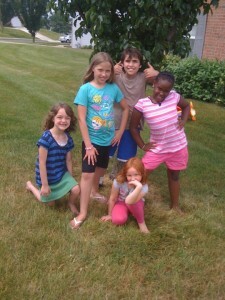 The CUTE Farmington Fit Crew!